The Bible tells us that Passover is always on Nisan 14. Numbers 28:16-17 says: “In the first month on the 14th day of the month is Adonai’s Pesach (Passover). On the 15th day of the month is to be a feast.” The Scriptures verify this several times. On the 14th, as Jehovah instructed, His people were to slaughter the lamb toward twilight/dusk toward the evening and eat it “that same night” – because the 15th was to be a feast. So on the night when the 14th Nisan begins we as believers come together to commemorate the last moments of the life of Jesus Christ. The days afterwards we can gather with family and friends and celebrate the liberation of God’s people. When it is still day light it would be still the 14th of Nisan but as soon the sun goes under the 15th of Nisan begins and the evening meal can be taken full of joy, because the people who could leave Egypt was the way to the Land of God for the Jews. And the death of Christ was the liberation of all people so that everybody could receive the opportunity to come closer to God and would be able to enter the Kingdom of God. We should always remember that Jesus himself said to the apostles, “I have earnestly desired to eat this Passover with you before I suffer;” (Luke 22:15 NAS) Jeshua died on the first evening of Passover, and Passover seders are to be held on the evening (sunset) of Nisan 14th, for the 15th (which starts immediately after sunset) is to be a feast (Numbers 28:16-17). As such we are happy to invite everybody to gather with those who believe in Christ his death and resurrection for becoming our mediator between God and man and would like to find them in prayer and worship on 14 Nisan at the memorial table. This year there were many controversies on which day to hold the Memorial Meal. We take the gospel of John in consideration where is spoken of the 14th of Nisan as “the preparation of the Passover.” The next morning, after the final supper Jeshua had with his disciples, after the Jews had apprehended Jeshua and interrogated him, early that morning, they led him to the hall of judgement be judged by Pontius Pilate, Roman governor. 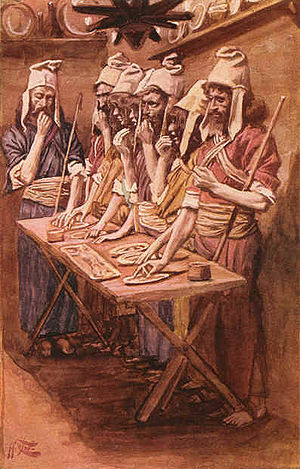 The Jews themselves, however, would not go into the Roman judgement hall, “lest they should be defiled; but that they might eat the Passover” (John 18:28). Clearly Passover had not yet come. So for sure the 14 Nisan or our Memorial Meal service would have to take place one evening before the night the Jews would take their Pesach seder. 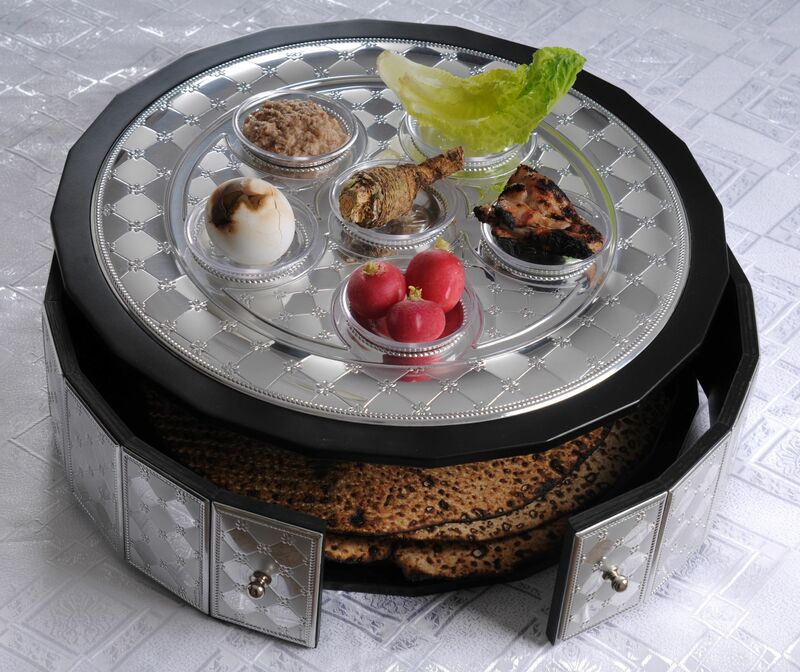 According to certain Jewish groups Erev Pesach (‘Eve of Passover’) – First Seder would be on Monday March 25, 14 Nissan, 5773. The Torah (Exodus 12:15, as per Talmud, Pesachim 5a) sets midday of Nissan 14—for 2013 on Monday March 25th –as the deadline for the destruction and/or removal of all leavened foods (“chametz”) from their possession in preparation for the festival of Passover, which begins that evening at nightfall. In practice, Torah law mandates that we desist from eating chametz two hours before midday, and that no leaven remain in our possession an hour before midday. These are not clock hours but “proportional hours”, defined by Jewish law as a 12th part of the time between sunrise and sunset. When the Holy Temple stood in Jerusalem, the Passover offering was brought there on the afternoon of Nissan 14 which would mean on the afternoon Tuesday 26. That day it is commemorated by the Jews their recitation of the “Order of the Passover Offering” in the afternoon of Tuesday 26 March, by the “shankbone” placed on the seder plate this evening, and the afikoman — a portion of matzah eaten in its stead at the end of the seder meal. The Jewish calendar date begins at sundown of the night beforehand. Thus all holiday observances begin at sundown on the secular dates listed, with the following day being the first full day of the holiday. 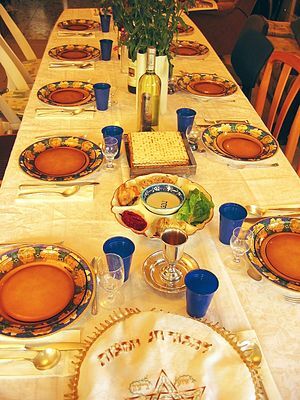 (Thus, the first Passover seder is held on the evening of the first date listed.) Jewish calendar dates conclude at nightfall. According Chabad the holiday of Pesach, or Passover, falling on the Hebrew calendar dates of Nissan 15-22. According to The Premier Kosher Information Source on the Internet Passover begins with the first Seder on the eve of the 15th day of Nisan, corresponding (according to them) to Monday evening, March 25, 2013, and ends outside of Israel at the conclusion of the 22nd day of Nisan, corresponding to Tuesday evening, April 2, 2013. According to us we have to take in account the difference of timing of the East (Jerusalem), Europe and the United States (even there the East and West coast). For 2013 we had New Moon on March the 11th and Full Moon on March 27, so 14 Nisan should be on the evening of 26 March this year. Therefore we kindly invite you to join us on Tuesday night for the Memorial of Jesus’ death, the Pesach or Lamb of God. On that evening we shall meet to commemorate the greatest man on earth and we shall examine what makes Jesus—and his sacrifice—so vitally important. For centuries, Christians have observed the crucifixion of Jesus as being on Friday afternoon and the resurrection at dawn the following Sunday. This is only a period of about 40 hours and certainly does not fit Jesus’ prediction of three days and three nights? “For as Jonah was three days and three nights in the belly of a whale, so the Son of Man will be three days and three nights in the heart of the earth,” Matthew 12:40. The problem is neither with Jesus’ prediction nor with the Bible. The problem is with our tradition that misses a very important fact of the events of that week in Jesus’ ministry. The Bible tells us that Jesus was crucified on the Day of Preparation for the Passover Sabbath (Mark 15:42, Luke 23:54, John 19:14, 31). The Hebrew calendar begins each day at the evening twilight of the previous day. For example, the Jewish Friday begins at what would be the beginning of Thursday evening on our calendars. The Day of Preparation for Passover was always the 14th of the Hebrew month Abib (also known as Nisan). Passover began that evening, the 15th. The synoptic want to emphasize the Passover significance of the Last Supper and therefore they date it to the night of 14th or 15th of Nisan when the Jews celebrate their Passover Meal. Here the Last Supper is presented as Jesus’ own Passover, the new Passover Meal of his own body and blood. In gospel of John, however, the death of Jesus is connected with the Passover and not the Last Supper. Jesus the Lamb of God is sacrificed on the Cross at a time when the Passover lambs are slaughtered in preparation for the Passover Meal. At the end of this month Christians around the world will be celebrating the resurrection of Jesus Christ. In the week before Jews will be observing the Passover. What most Christians do not know is that these two “Holy-days” are related to each other. The story of the preparations for the Passover Meal is itself introductory to the account of the Last Supper in Luke 22: 14-23. The parallel passages in Matthew 26: 17-19 and Mark 14: 12-16 also present Jesus’ meal with his disciples as a Passover Meal held on the 14th or 15th night of Nisan. The same night Jesus was arrested and the following day, namely, on 15th of Nisan he was crucified. It is also interesting to note that the three synoptic evangelists explicitly mention that day as the day of preparation, that is, the day before a Sabbath (cf. Mk 15: 42; Mt 27: 62; Lk 23; 54-56). The fourth evangelist (John) is also in agreement with the synoptic on this point. What does it mean that Christ is the fulfillment of the Law and prophets?One of the ways we can see this is by examining the Feasts ofIsrael. 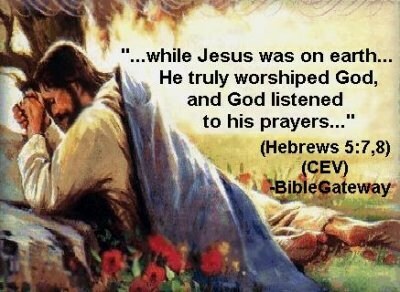 YHWH established appointed times that the nation of Israel wouldmeet with Him in worship and thanksgiving. There were three feasts in the Spring (Passover, Unleavened Bread and First Fruits); one in the Summer (Pentecost); and three in the Fall (Trumpets, Atonement and Tabernacle). Jesus Christ is the fulfillment of these feasts, or appointed times. Special care was to be taken of this lamb until the 14th of the month, the Passover, when the lamb would be slaughtered at twilight. On the original Passover, the blood of the lamb was smeared on the doorposts of every Hebrew home to distinguish them from the Egyptians and to protect them from the destroyer. Much of the symbolism of Jesus’ last Passover week is lost to us because we are unaware of the customs of the time. The day Jesus was crucified was the day of the Passover celebration and the day that the Passover lamb was to be sacrificed. For the previous 1,200 years, the priest would blow the shophar (ram’s horn) at 3:00 p.m. – the moment the lamb was sacrificed, and all the people would pause to contemplate the sacrifice for sins on behalf of the people of Israel.At 3:00, when Jesus was being crucified, He said, “It is finished” – at the moment that the Passover lamb was sacrificed and the shophar was blown from the Temple. The sacrifice of the lamb of God was fulfilled at the hour that the symbolic animal sacrifice usually took place. At the same time, the veil of the Temple (a three-inch thick, several story high cloth that demarked the Holy of Holies) tore from top to bottom – representing a removal of the separation between God and man. Fifty days later, on the anniversary of the giving of the law (Pentecost), God left the earthly temple to inhabit those who call on the name of Jesus through His Holy Spirit. One source tells us that around the time of Christ, 256,000 lambs were slain in Jerusalem for just one Passover. According to ancient Jewish law, there were ten people required for every one lamb. So that puts the population in Jerusalem for Passover at roughly 2.5 million people plus! After sunset we join Jews around the world in a “seder” meal.